IJoy Maxo Quad 18650 TC Box Mod Review - Daily Vaping Deals & The Best Vape Product Reviews at Vaping Cheap! IJoy has been releasing tons of impressive products lately, and they have recently released their newest device, the Maxo Quad 18650 TC Box Mod! 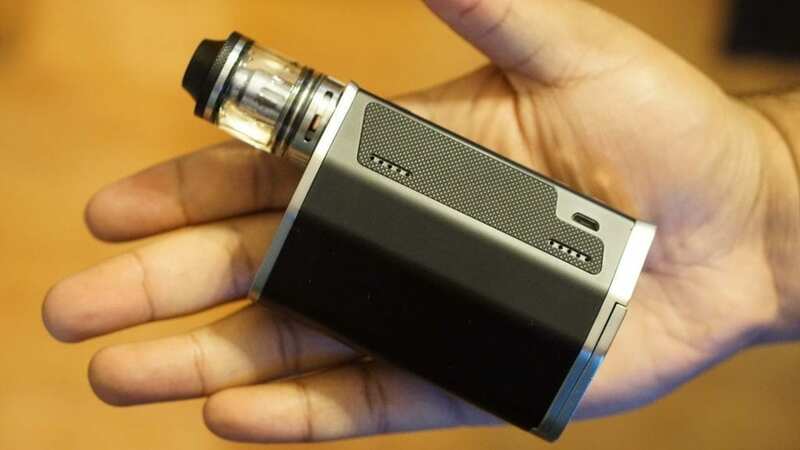 Bigger box mods that hold more than 2 batteries have become increasingly popular lately as they just offer battery life like no other device can. Not to mention, larger box mods can fit larger atomizers flush unlike smaller box mods. Since we have recently seen a ton of larger diameter atomizers being released, it only makes sense to see larger box mods as well. With IJoy now releasing their own large device, we’ll see how it compares to the competition! Firstly, I would like to thank Heaven Gifts for sending this product my way for review. I will go over what I like and what I dislike about this device, and will conclude by telling you whether or not I recommend it! Click Here to Check Out the IJoy Maxo Quad 18650 TC Box Mod! When I first received this product, I noticed the size of the packaging. Honestly, my first impressions when seeing the device online was that I thought it was going to be extremely large since the device itself does hold up to four 18650 batteries. However, the packaging itself is on the smaller size, and I certainly expected a much larger packaging. That is not to say though that the packaging is tiny, I just expected it to be much larger. When first opening the package, I was greeted with the device itself. My first impressions when actually seeing it was that it is quite large indeed. In comparison to other larger box mods, it is bigger for sure, but honestly by not that much. If you are used to larger box mods or have large hands, then holding this device would not be a concern. Also, when first holding the device, I noticed the great quality. Honestly, the quality was much better than what I expected, and it shows how far IJoy has come with their products. The packaging was very nice overall, and the quality is definitely there. In addition, the IJoy Maxo does have a screen protector installed when you receive this device. As seen in the pictures within this review, mine has some scratches, but the screen itself does not have any scratches. Also, I do want to mention though, that this is probably the largest regulated box mod I currently own or ever held. It is not small by any means, but that is to be expected. However, I did notice that the battery door was quite loose without any batteries inside, which was a concern for me, as I did expect the battery door to be secure. With four 18650 batteries, having a battery door that would stay in place firmly is important in my opinion. We will get into this specifically later on in the review. I do like the battery door though, as it the way it is designed it makes it extremely easy to insert your batteries and take them out. 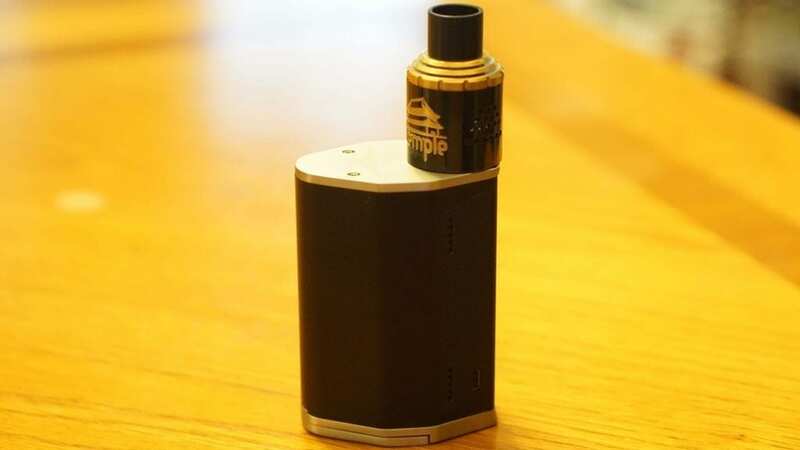 In my opinion, it is much easier than some other box mods that hold more than 2 batteries. Also, it is clearly marked how to install the batteries as well, so that is another pro in my opinion. Included in the packaging, you do receive a micro USB cable (for firmware upgrading), a user manual, 10 side panel stickers and the device itself. The IJoy Maxo does not come pre-installed with any side panel stickers, but they seemed easy enough to install yourself. It was a huge pro though for them to include different color side panel stickers. That is certainly a huge pro for vapers who like to match their mods and atomizers! I do want to mention that even though the device felt large in hand, it still felt quite comfortable to hold. However, I do think people with smaller hands might find it quite uncomfortable to hold due to its larger size, so I can see this as a con for some. Like said previously, it is expected for this device to be large since it does house four 18650 batteries. To me, this is more of a “desk mod” rather than something you would carry around with you all day due to its size. All in all, my first impressions of the IJoy Maxo Quad 18650 TC Box Mod was great. This device has a really solid build quality, and the included side panels were certainly a huge pro. In the next section, I will go over my experiences using this device! When first using the IJoy Maxo, I definitely had to get used to its size. Even though it is comfortable to use it, I still had to get used to it since I typically use much smaller box mods in comparison. However, after using it for about a day or two, I got used to its size, where I had no issues with its large size. Honestly, it became more comfortable to use after some time, and I can easily see why some vapers enjoy using these larger box mods. Even though it was quite comfortable to hold, I do have to mention that with four 18650 batteries installed, this device is very heavy. This was something I also had to get used to, but did within a few days as well. I can see this being a con for some, since some may not expect how heavy it really is with all four batteries installed. The quality of this box mod is great, and it really held up over time with no issues. I never dropped it, but did carry it around with me quite often to see how it would hold up on a daily basis, and never once had an issue. This was certainly impressive, and I commend IJoy for releasing such a quality device. The screen is nice, and really bright. It is easy to see in almost any situation, and I personally like the outlay. It gives you all the important information very clearly, especially the current wattage setting. In addition, even though this is something small, the text is very nice as well, and certainly eye appealing. Not to mention, the menu system is extremely easy to navigate as well. I do think this device is aimed towards advanced users, but I do think a newer user would have little to no issues using the menu system. I was happy to see a menu system that was fairly straightforward, as some devices are much more complicated in comparison. I am a person who enjoys more technical and advanced devices, but it was great to use something not nearly as complicated. A few clicks and you’re into the menu to choose what mode you want, and you’re good to go. There is also a user mode where you can set up a customized vaping experience. For example, you can set the device to fire at 100w for a few seconds, and then drop to say 60w or whatever you prefer. This feature can serve as a preheat function, which is great for your extoic builds such as Fused Claptons. I did not use this much to be honest, but it certainly is a nice feature to have, and I can easily see people using this quite often. It is worth mentioning that this device is firmware upgradeable, but I never updated it since I received it. Honestly, this device has worked flawless for me, and I don’t really see a need for updating unless there is a new feature implemented. Also, the firing button is quite large, and easy to press. This is not a huge aspect to look at, but honestly the fire button is what you’re pressing the most, so having a comfortable and well placed fire button is important in my opinion. What was a letdown though, is that 30mm atomizers do have a slight overhang. Honestly, you would think a box mod of this size would have these bigger atomizers sit flush with no overhang whatsoever, but that certainly is not the case. The overhang is not terrible by any means, but is still there. 25mm diameter atomizers do sit flush with no overhang, but still it would have been nice to see 30mm atomizers sit flush with no overhang. Not the biggest con, but still worth mentioning. It is worth mentioning that some atomizers with long 510 pins did not sit flush. I had no issues with the 510 connection, but it was disappointing to see some atomizers not sitting flush. The gap on some atomizers were not huge, but they still did not sit flush. This is not the biggest issue for me, but still have to mention it as I know this would bother some people. In addition, if you lay this device on a flat surface it does have a wobble. I constantly made sure the battery door was closed fully, and this issue would still be present no matter what. When batteries are installed, the middle area of the battery door protrudes out more than the rest of the bottom of the device; therefore causing this wobble. It is not the biggest issue, but still worth mentioning. Speaking of the battery door, it is quite loose without any batteries. However, when you have all four batteries installed, the battery door is solid and firmly in place. I was certainly relieved to see this, as the battery door had me worried in the first impression. 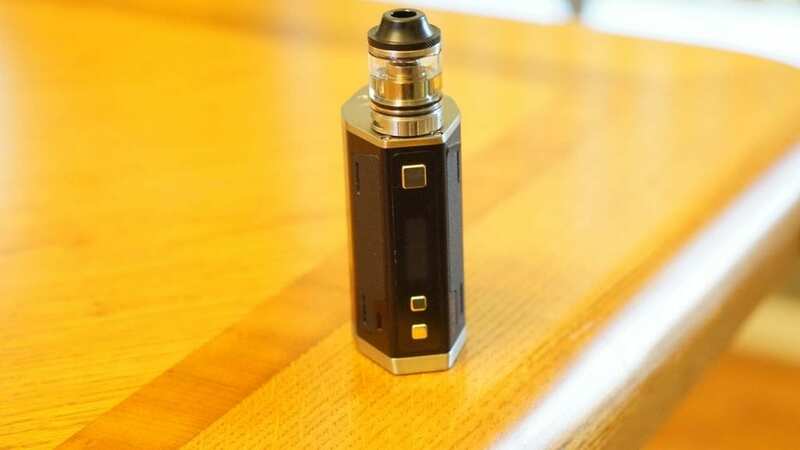 It is worth mentioning that this device can be used with only two 18650 batteries, but honestly I don’t see the point of this, as I’m sure many vapers are buying this device to use it with 4 batteries, not 2. It is nice to have the feature, but still why carry such a large device with only 2 batteries installed. All in all, using the IJoy Maxo has been nothing but impressive. There were some small issues that were mentioned, but did not affect the quality of this device whatsoever. I thoroughly enjoyed using this device! In the next section, I will go over the performance! The IJoy Max is marketed to be able to hit 315w! Now, I do not have the equipment to test how accurate this is, but I can surely tell you that this device does deliver in the wattage department! 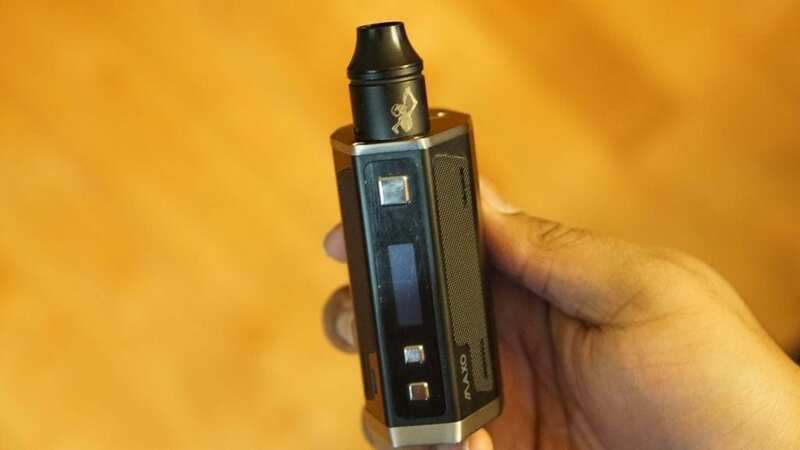 I personally do not vape over 100w often, so for me I was more concerned about the battery life more than anything since this device does house four 18650 batteries and battery life is expected to be great. Well, I can easily say that the battery life on this box mod is fantastic! I can literally go 2 full days without needing to recharge my batteries! I was using a set of 4 Sony VTC4 batteries, which are only 2100 mAh, so you can image the battery life with 3000 mAh batteries! Honestly, the battery life of this device was nothing but impressive. That is to be expected of course since it is using 4 batteries, however, it was quite impressive due to the batteries I was using. To get 2 full days of battery life, I was vaping between 60w and 90w consistently. With higher wattages, I can get a full day for sure. The wattage output this device delivered seemed to be pretty accurate as well. Like said previously, I do not have the equipment to test its accuracy, but in comparison to a DNA200 device, it was quite close. I compare wattages to the DNA200 board, since many vapers do accept this board as one of the most accurate on the market. I did not vape this device at 315w, as I do not vape at that high of a wattage, but I did vape it for a bit at 200w. At 200w, it did deliver the power with no issues, and honestly it felt like a true 200w. I was certainly impressed by this, as many devices claim to be able to hit certain wattages, but cut short. Also, the temperature control seemed just fine as well. I only used this device in stainless steel temperature control mode, since I do not vape Ni200 nor Ti wire. The temperature set seemed to be on par with a DNA200 device. However, you are limited in wattage in temperature control mode. I have no idea why IJoy would put this limitation in TC mode, but I’m sure with a firmware update it can be fixed easily. I personally do not vape in TC mode often, so it was not a huge deal for me. I do want to mention that there was no delay when pressing the fire button. This was a huge pro for me, as I do hate when there is a delay when pressing the fire button. In addition, there is a few modes as well, similar to what Smok offers. The modes that are available are hard, soft, normal and user. I did go over the user mode in the previous section. I do think this is a great feature, as some may want a slower ramp up or a faster ramp up. Also, all of my atomizers made a connection, and I had no issues with any atomizer I attached. Another thing to mention is that this box mod has a minimum firing resistance of 0.06 ohm! Now, I do not recommend building this low, but it is nice to know that this device can fire this low. The lowest build I had on this device was 0.09 ohm, as I do not feel comfortable building any lower. This device did fire this build with no issues, and did not ever get warm which is certainly a huge pro! All in all, the performance of this device was superb! The battery life and wattage output was solid! However, this device did have a few cons to it, which is what I will get into in the next section! Honestly, there isn’t too many cons to this device, and most are subjective. The first con is the fact that 30mm atomizers have an overhang. Like said before, it was a letdown for me, but is not a deal breaker by any means as the overhang is not terrible. Also, atomizers with longer 510 pins will have a small gap. Once again, not a huge deal, but still has to be mentioned. The second con is the wobble on it is on a flat surface. Honestly, the design of the battery door could have been slightly better. The wobble is annoying at times, and the fact that the battery door is loose without any batteries can be seen as an annoyance as well. Like the previous con, it’s not a huge deal, but definitely worth mentioning. The third con is that you are limited in wattage when you are in temperature control mode. I’m not sure why this device is currently like this, but like said before a firmware update would probably fix this issue. The next con is the overall size of this device. This box mod is large, and there’s no other way to put it. For me, I got used to it rather quickly, however people with smaller hands may find it uncomfortable. The next con is the weight of this box mod with all four batteries installed. This device is quite heavy with 4 batteries, and is certainly more heavier than any other device I own with batteries installed. I did get used to the weight quickly, but honestly if you decide to put this in your pocket, you will certainly feel its weight hence is why I called this more of a “desk mod”. This is to be expected of course, but still worth mentioning. Even though the IJoy Maxo had some cons to it, it still is a solid performing device, which leads me into the next section, my conclusion! In conclusion, the IJoy Maxo Quad 18650 Box Mod is a solid device that offers tremendous performance at an affordable price. This device is certainly not for everyone, especially due to its larger size. People who like compact or lightweight devices will not like this box mod at all. However, people looking for a device that can offer tons of battery life will love it. Not to mention, the IJoy Maxo offers tons of features such as temperature control for various wire materials, different modes such as soft, hard, normal and user! The user mode is definitely unique, and a much appreciated feature. I think when people actually start using the user mode, they will find it great. Honestly, for the price, it’s really hard to beat the IJoy Maxo as it just offers almost everything you could want in a box mod. I’m sure this device will be a top pick for many vapers in 2016, as it really is a solid performer. 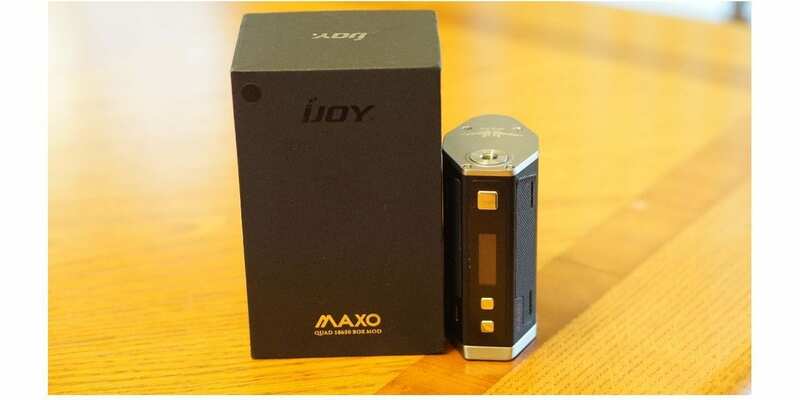 All in all, the IJoy Maxo is a great device that offers the user superb battery life, and many features that are commonly used such as temperature control. Not to mention, this device is firmware upgradeable, so youâll always be up to date! If you’re looking for a new box mod that’ll easily last you throughout the day and don’t mind its larger size, then the IJoy Maxo is definitely a box mod I highly recommend! Great review Steve. I preordered mine and have been enjoying it since I got it. I agree it is a little big and heavy to be putting in your pocket but it makes a nice desk mod. For some reason, and I am using same type of battery, I find my Koopor Primus that has three batteries seems to last longer than my Ijoy.